I bet some days you wake feeling bored, lonely or unsatisfied with motherhood. Perhaps there are even weeks and months where everything looks grey. You’re feeling you aren’t handling your children, your job or your marriage quite well enough. Do you stay with these rough-edged times, seeking their meaning? Do you speak of your challenges or post the truth on Facebook about difficult moments? 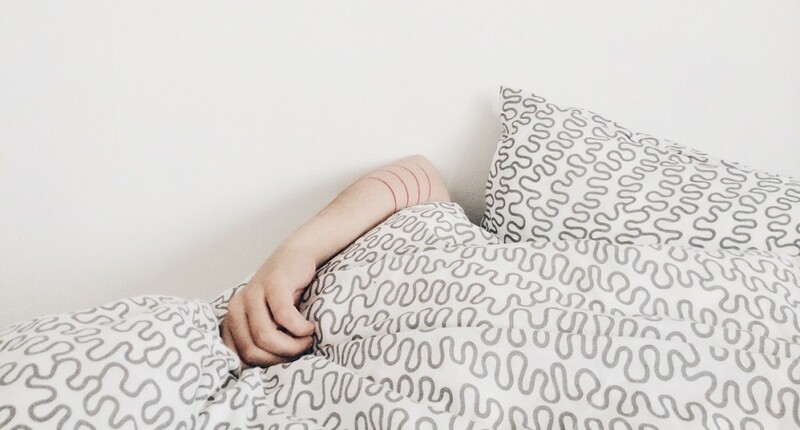 Do you stay in bed an extra few minutes, watching the way the light still slips through your window silently on grey days, feathering over your skin, reflecting off the shadowy parts of you? Do you listen to that silence, allowing your thoughts to percolate in what the hard stuff has come to reveal? And when you slide out of bed, do you notice doors open, from your room, your home, through people you pass – do you follow your life down its deep valleys, around it’s curved pathways, accepting the adventure of simply being imperfect you? As mothers, we’re taught to find the good, press on smiles and heap positive thoughts over any negative sentiments, worries and fears. If we post on social media that we’re having a dreary day, we’ll likely receive a handful of techniques and prayers and optimistic statements meant to bring on the sunshine – quickly! But let’s stay a moment inside our messy or ordinary days. Could there be purpose in the times when we feel disconnected and disorganized; when there’s nothing spectacular to do, when we don’t have a play date scheduled for the kids, an all-star game, a lunch date or a reason to go outside? Maybe grey days arrive to heighten the light coming over the horizon. Have you ever noticed how the sun breaks over a bank of dark clouds? Brilliant gold reflects and contrasts its opposite blue-grey. This image is far more spectacular than a sun rising inside a clear blue sky. On a cloudy day, when light finally peeks through, everything beneath the sun awakens. Boring branches and ground shimmer. Shadows roll to life, the earth warms and colors shift. Similarly, in the past when I’ve had lonely days, a kind word or a text from a friend made my body suddenly feel lighter, more alive. On another day, when I worried about my child who had pneumonia and the fever finally broke, her clear voice saying “Mama” and the weight of her blue eyes filled me with extraordinary pleasure. When my son became severely depressed, even a tiny trip out of the house felt like a gift. I saw pictures online of moms traveling to soccer games, play dates and cool school trips; but I was content sitting across a small restaurant table from my boy, absorbing his cheerful jabber for the first time in months. Perhaps sadness comes so that we can connect to one another, more deeply. As women, we may feel “unattractive” revealing anything besides positive feelings. We don’t want to impose on other moms’ Facebook fun days. We worry that we mustn’t fail at being resilient – in any way! “Everyone has problems. That’s life,” I often hear moms say. Not long ago my husband was jobless, our house was under major construction and my son was severely depressed. I needed to reach out, to share the soft stuff, the honesty of our hard journey. So I took pictures of anything interesting that I could find: bare trees, raindrops, silhouettes of my children, window panes on cold rainy days, tire tracks in the snow. I wrote poetry, and I began to uncover an ironic secret nestled inside our struggles – our difficulties soften us, they shape us and they reveal beautiful life. I also continued to write essays relating to our challenges. “You’re writing about my life. I never knew anyone else felt this way,” I heard from some of my readers. These sentiments encouraged me to share more, and to start a support group and a writer’s workshop for moms of struggling children. Eventually I found countless other mothers who wanted to connect through their challenges. Together we identified truths far richer and complex than a simple sunny day or a post on Facebook. Our difficult moments knit us together, empowering us to find beauty in relationships, in hardships and in subtle triumphs. Finally, I wonder if faith only grows when we dare trudge through difficult emotions and a messy life. When I slowed down to witness and share the uncontrollable and sometimes terrifying aspects of motherhood – my faith flourished. I found more honest friendships. I became a stronger parent. I met a subtle God not easy to see in fancy church services or exotic sunset selfies. I discovered a God barely visible on Facebook. He’d sought me through quiet times, through lessons learned in unexpected places, and through tiny bits of light barely perceptible. He’d filled me with faith through tears, slow sunrises, cold grey days, unlikely friendships and even through conflicts. Next time you find yourself waking to a dreary day, consider exploring what is there. Maybe this time is only a dip in the fantastic journey called your incredible (sometimes grey) life. Write or sketch or speak of that which you feel, you see. Take a picture. Paint. Pray. Whatever you do, try accepting your time, exactly as it is, on this earth … You may dig up something that is truly yours – something spectacular.